This month we are featuring "Go Figure" and "10 Favorites." Kit quanities are limited so hurry in! Paper Cottage has teamed up with Basic Grey and we are so thrilled to introduce to you our NEW BasicGrey Page of the Month program. Each month we will introduce a new page of the Month designed by BasicGreys top designers. This gives you a year of personalized creativity using the latest and greatest BasicGrey products. Each to-go-kit contains papers and solid papers from BasicGrey's most current collections, as well as a selection of the most popular embellishments. Each kit also contains step-by-step instructions and color photos. Kits are only $20 but their retail value in product far exceeds the price of the kit. This class taught by Celeste continues to be a hit. 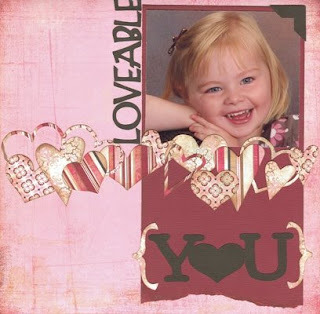 This layout is perfect to display in one of our 12x12 frames or purchase the companion layout and put in an album. This class is only $10. Tuesday, March 10th at 7pm. For March, Tami is featuring Pluto in her Disney class. This class is only $20. We hope you can come! Mark your calendar for Monday, March. 16th at 7pm. This class changes with the seasons. Soon you will have a different hanger for each holiday and season. Interchangeable seasonal wood decor. $15.00. Add the hanger - $15. Call TODAY to reserve your spot or a kit if you can't make it to our class. If you want "hands on" instruction to learn how to use the Cricut die cutting machine, then we have a special introductory class that is just for you! Our experts will show you everything the Cricut can do and answer your questions, while you make this layout Also in class, you will see the Cricut Design Studio software demo'd to see how easy it is to use and how much more you can get out of your Cricut machine. Class Fee $15. If you have never joined out card of the month club, you should! It premiers again in March so this is the perfect time to join. It is only $15 for the entire year! You will get a NEW card kit each month. Kits are available for pick up as early as the third Thursday of each month. See store for details. If you sign up before the end of February, you will get the bonus kit for FREE (retail value $5). In March we will do Birthday cards, the top card is the card of the month and the second card is your bonus card. 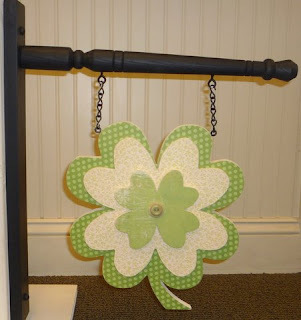 Welcome to Paper Cottage blog! Thanks for visiting. This is the place to get information about classes and products offered in our stores. Check back often for all the latest news!